Over 90% of the population is a normal width. If you are not sure of your width, chances are you wear a normal width. If a size is listed with just a number, this means the size is only available in a normal width. Below are some common notations that indicate a width measurment. We get the notations directly from the manufacturer of the footwear. We carry a broad range of sizes as part of our commitment to give our customer the style and fit they are looking for. We cannot guarantee a certain style or size will fit, but here is some general advice that should help you find the proper fit. Whenever possible get your foot measured. 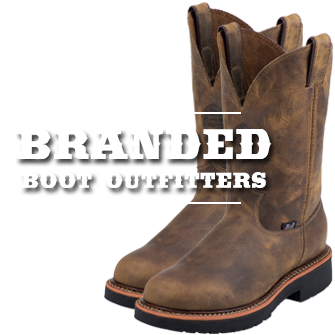 If you are familiar with the brand of boots, order the same size you usually wear in that brand. If you own another brands of boots, this size will usually do! If you don't remember the size, look inside the shaft of the boots or on the inside bottom. 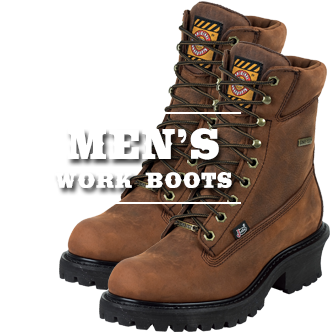 If this is your first pair of workboots, normally start with 1/2 a size down from your normal shoe size. If you are between sizes, order 1/2 size up. Try your boots on in the afternoon, after you have been on you feet for an extended amount of time. Try your boots on inside on carpeted floor first. Give them a try. This will allow you to see how they fit without showing any signs of wear on the boot. Remember to wear socks that you plan to wear with the boots. Pull-on boots, must slip slightly on the heel when they are new. When a boot is new, the sole is stiff. As you wear the boot, the sole is flexed. With time most of the slippage you feel should disappear. If the slip feels excessive you may want to wear a thicker sock or you may need a narrower fit. Note though that a SLIGHT SLIPAGE IS NECESSARY TO OBTAIN A PROPER FIT. On pull-on boots, the leather should be snug across the instep, but not tight. Snugness on the instep is vital for a proper fit and will stretch out and go away. This is just a recommendation on size and we cannot guarantee the fit. 4 2.9" 3.1" 3.3" 3.4" 3.5" 3.8"
4.5 2.9" 3.1" 3.3" 3.5" 3.7" 3.9"
5 3.0" 3.2" 3.4" 3.6" 3.8" 3.9"
5.5 3.1" 3.3" 3.4" 3.6" 3.8" 4.0"
6 3.1" 3.3" 3.5" 3.7" 3.9" 4.1"
6.5 3.2" 3.4" 3.6" 3.8" 3.9" 4.1"
7 3.3" 3.4" 3.6" 3.8" 4.0" 4.2"
7.5 3.3" 3.5" 3.7" 3.9" 4.1" 4.3"
8 3.4" 3.6" 3.8" 3.9" 4.1" 4.3"
8.5 3.4" 3.6" 3.8" 4.0" 4.2" 4.4"
9 3.5" 3.7" 3.9" 4.1" 4.3" 4.4"
9.5 3.6" 3.8" 3.9" 4.1" 4.3" 4.5"
10 3.6" 3.8" 4.0" 4.2" 4.4" 4.6"
10.5 3.7" 3.9" 4.1" 4.3" 4.4" 4.6"
11 3.8" 3.9" 4.1" 4.3" 4.5" 4.7"
11.5 3.8" 4.0" 4.2" 4.4" 4.6" 4.8"
12 3.9" 4.1" 4.3" 4.4" 4.6" 4.8"
13 4.0" 4.2" 4.4" 4.6" 4.8" 4.9"
14 4.1" 4.3" 4.5" 4.7" 4.9" 5.1"
15 4.3" 4.4" 4.6" 4.8" 5.0" 5.1"
16 4.4" 4.6" 4.8" 4.9" 5.1" 5.3"
17 4.5" 4.7" 4.9" 5.1" 5.3" 5.4"
To measure the length your foot, first place a ruler flat on the ground. Line up your heel at the end of the ruler. Measure your foot from your heel to your big toe. Then, simply use our size chart above to calculate your size. 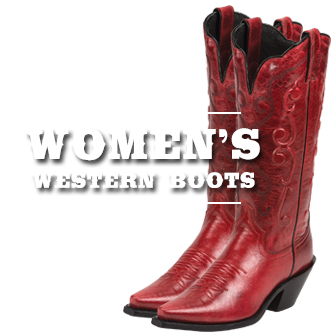 Boots are typically available in 6 widths: B (extra narrow), C (narrow), D (regular), E (wide), EE (extra wide), and EEE (triple wide). We suggest ordering your boots according to the size chart above. First, measure the length of your foot to find your base size. Then, measure the width of your foot across the widest part and find your corresponding width in your shoe size. 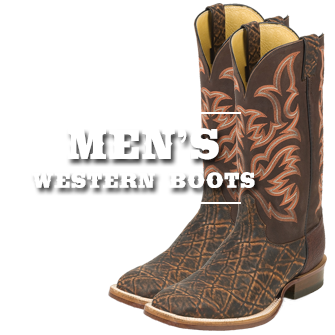 Many women like the look and styling of our men's boots and use a simple conversion to find the right size. To determine what men's size you wear, simply subtract 1.5 sizes from your current ladies shoe size. For example, a ladies size 7 equals a mens 5.5. It may help to place your heel against a flat surface like a wall and measure from the wall to the tip of your big toe. Having someone trace your foot onto a sheet of paper can make it easier to get the right measurements. If you have trouble measuring your own feet, you may want to visit your local shoe store and use their foot measuring device called a Brannock. If you find that you are between sizes, order 1/2 size up.